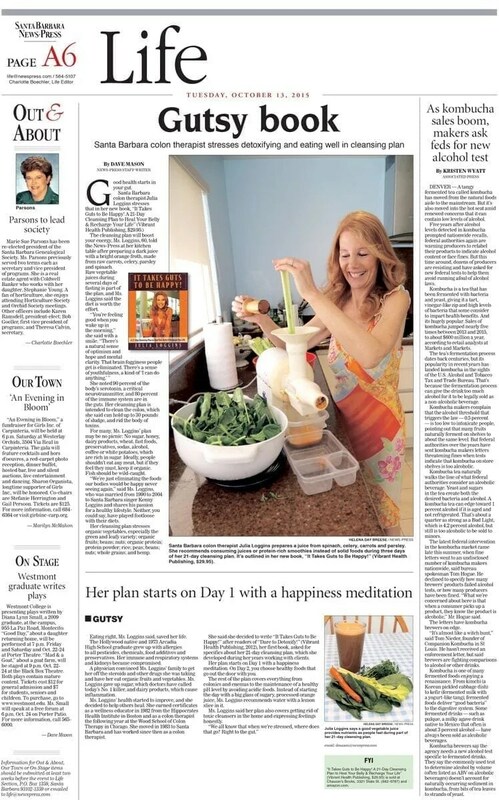 Read Julia’s Interview with the Santa Barbara News Press 2015 in a PDF. Julia is offering Mini Happy-Gut Cleanses to help you get through the holidays without packing on the pounds! One will be held right after Halloween, November 2-9th, the next is right after Thanksgiving, November 30-December 6. On January 18-March 1, Julia will be offer her full 6-week Happy-Gut Makeover Course which includes the supervised and supported 21-Day Cleanse from her book, It Takes Guts to Be Happy!